Zyvox is indicated for the treatment of suspected or proven infections due to Gram positive organisms resistant to multiple classes of antibiotics, including methicillin resistant Staphylococcus species and vancomycin resistant Enterococcus species. Zyvox (linezolid) is active against Gram-positive bacteria only. Linezolid has no clinical activity against Gram-negative pathogens. Specific Gram-negative therapy is required if a concomitant Gram-negative pathogen is documented or suspected. A clear, colourless to yellow solution free from visible particulates. white to off-white coated tablet with ZYV debossed on one side and 600 debossed on the other. 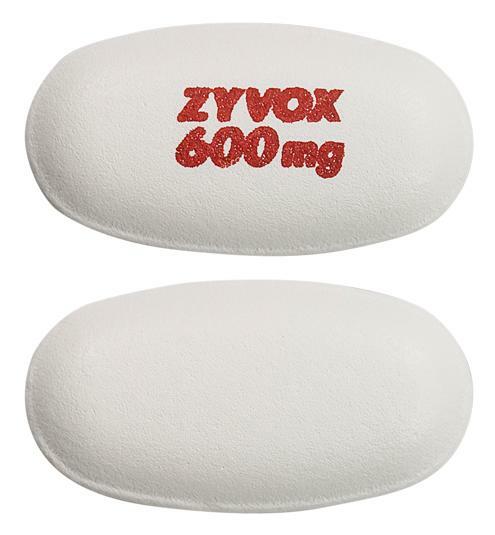 Zyvox is indicated for the treatment of suspected or proven infections due to Gram positive organisms resistant to multiple classes of antibiotics, including methicillin resistant Staphylococcus species and vancomycin resistant Enterococcus species. Zyvox (linezolid) is active against Gram-positive bacteria only. Linezolid has no clinical activity against Gram-negative pathogens. Specific Gram-negative therapy is required if a concomitant Gram-negative pathogen is documented or suspected..
Zyvox (linezolid) is an antibiotic used in the treatment of bacterial infections such as pneumonia, skin infections or blood infections.